The DoT will take stock of the efforts by TSPs to reduce call drops, before TRAI comes up with a detailed road-map in October. The Department of Telecommunications is scheduled to meet telecom service providers next week, to discuss and assess measures undertaken to minimize call drops. It is meant to check on the interim progress made by the TSPs, before TRAI publishes its recommendations, mid-October. The meeting was initially scheduled to take place on Friday, but has been pushed back to early next week. The DoT is expected to take stock of the measures put in place by the operators to improve service quality. In an earlier audit, the DoT had observed that operators were not optimizing their networks properly, which led to increase in call drops. Telecom Secretary Rakesh Garg had said, “The DoT team studied an operator in Kolkata and found dramatic improvement in the quality of service just through optimization.” The Telecom Department will also provide individual feedback to operators, based on the findings of its internal network audits in major cities that include Delhi, Mumbai, Kolkata, Chennai, Hyderabad, Bengaluru, Chandigarh and Ahmedabad. Operators are expected to raise the issue of the Urban Development Ministry not providing clearances to set up new towers at government sites, at the meeting. Additionally, the telcos will be prodding the DoT to get the defence ministry to allow construction of towers in defence sites. The operators had sought intervention from the DoT in the sealing of towers in New Delhi, by the Municipal Corporation. Following this, the DoT directed the Delhi government to allow the setting up of new towers in government buildings. Similar complaints were also raised in Mumbai, where operators allege that arbitrary sealing of towers by the civic body have further exacerbated the call drops issue. 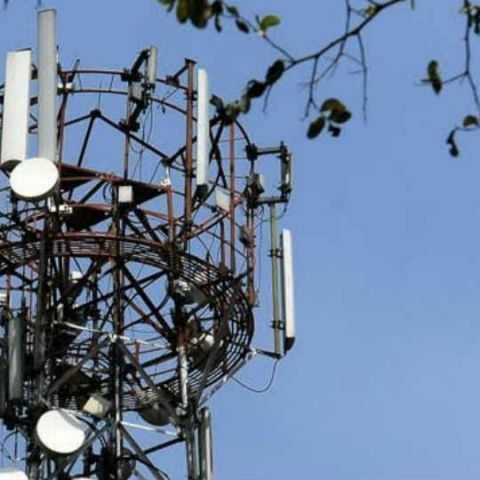 Sources cited by Economic Times have corroborated claims by the operators that the government has been dragging its feet in issuing clearances for setting up towers in government buildings. According to him, around 200 clearances are pending in Delhi. "It's impossible to beat the call drops problem in India's busiest telecom markets if actual clearances don't come for installing towers on government buildings or on defence land," the source said. Has anyone else experienced trouble logging in to eBay in last week?